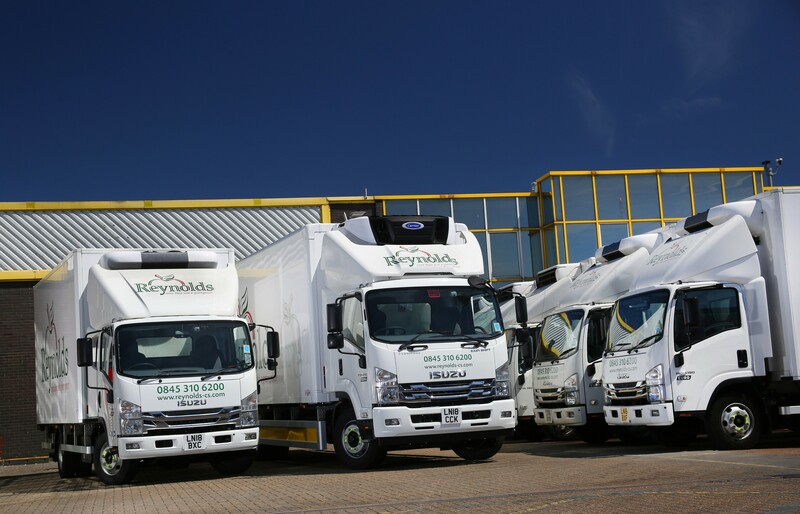 Long-standing Isuzu customer Reynolds Catering Supplies Ltd has recently undergone a significant fleet replacement programme, with the addition of 37 new Isuzu trucks within its existing 264-strong UK distribution fleet. As part of this latest vehicle order, Reynolds has now become one of the first operators in the UK to run Isuzu Truck’s newly launched F135.240(E) 13.5 tonne rigid trucks. The Hertfordshire-based catering company has placed an order for twelve Isuzu Forward 13.5tonners as well as adding a further 25 Isuzu N75.190 7.5 tonne rigids to its distribution fleet. 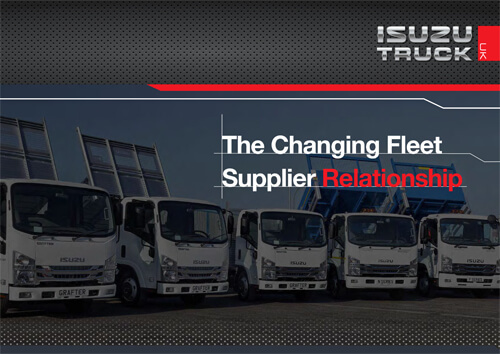 Reynolds currently operates 102 Isuzus, based across nine locations in the UK. Out of the initial order for 13 tonners, the first two Isuzu Truck F135.240(E) rigids have already gone into service with Reynolds and these both feature 4990mm Isuzu Hexapod day cabs with the Easyshift automatic transmission. The trucks have also been specified with G&A refrigerated bodies and Carrier Supra 750 refrigeration systems. The 25 Isuzu N75.190 7.5tonners also feature the popular Easyshift automatic gearbox and G&A refrigerated bodies, however these trucks have Carrier Xarios refrigeration systems. “Isuzu trucks now account for a significant proportion of our distribution fleet, especially at 7.5 tonnes, as we have found that their on-the-road reliability is fantastic. The recent introduction of Isuzu’s new model at 13 tonnes coincided with our need to replace some incumbent older trucks from our fleet. On the back of our experience of the Isuzu 7.5 tonne performance over many years, we decided to move up the GVW category with Isuzu this time,” said Steve White, head of fleet, Reynolds. All 37 new Isuzu vehicles are anticipated to operate in the Reynolds fleet for a period of seven years with an average mileage of between 60,000 and 80,000 miles per annum. The new Isuzu Forward F135.240(E) Euro VI 4×2 rigid is the latest addition to the 2018 isuzu product range, and follows on from the successful launch of the Isuzu 3.5t Grafter Green earlier this year. At 13.5tonnes GVW, the F135.240(E) is powered by Isuzu’s 4HK1TCH four-cylinder OHC turbo intercooled Euro VI diesel engine matched to the Isuzu six speed MZW6P automated transmission, generating 240ps (177kW) @2600rpm. The Isuzu F135.240(E) is a twin rear wheeled chassis that features Isuzu’s Hexapod all white steel day cab that provides excellent all round vision as well as full and extensive safety and security features. “The association between Isuzu Truck and Reynolds goes back successfully for many years now, and our 7.5 tonne rigid has become the mainstay of its distribution fleet at that GVW. This reputation has now lead to Reynolds becoming one of our first customers to introduce the new 13.5 tonne rigid into its fleet and extending the long-standing partnership between our two companies,” said Lee Tansley, National Fleet Manager at Isuzu Truck UK.